Nestled deep within the Andes, just a few hours’ drive southwest of Cusco, sits a seemingly painted mountain often referred to as Rainbow Mountain. 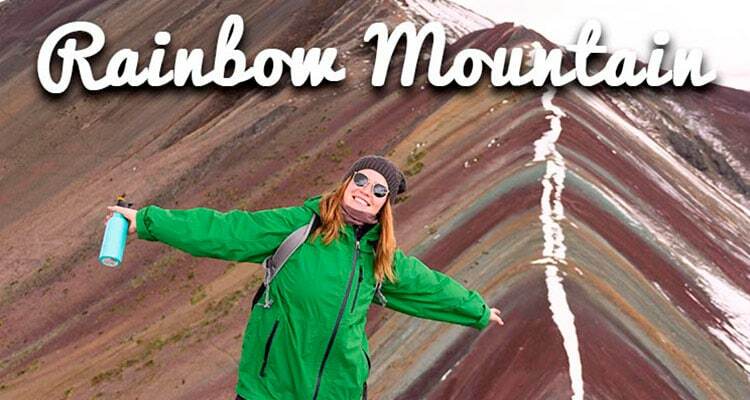 Its true name is Vinicunca, but Rainbow Mountain suits it far better. Shades of terra cotta, lavender, turquoise and rust stripe the mountain straight across its ridgeline. It’s an absolute feat of nature and a fascinating day trip to try and squeeze into your personalized Cusco travel itinerary. But to answer the question that’s on everyone’s minds, we’re using this blog post to explain how Rainbow Mountain got its color. The short answer would sound a lot like: Rainbow Mountain’s colors come from the exposure and erosion of the sedimentary mineral layers caked inside the mountain from centuries of tectonic shifts and volcanic activity. And you truly could stop reading right here, but then, who would you impress on your Peru tour? We all have the subduction of the Nazca plate under the South American plate to thank for initiating what is today Rainbow Mountain (and the Andes Mountains for that matter). Perhaps you may want to make a mental note now to give a toast to tectonics once you make it to Rainbow Mountain’s candy-striped peak? The shifting of these two plates quite literally tilted sheets of the earth vertical, exposing the earth’s stratigraphic layers in the process, introducing rare and varied minerals to the mix, and setting off more than a few of the area’s volcanoes. The job of creating Rainbow Mountain’s peculiar coloration was then passed off to Mother Nature, or Pachamama as locals refer to her. Millennia of battering rains, unrelenting snowfall, extreme winds, and even more extreme temperatures led to weathering of the mountain’s exposed mineral layers. The result: layers containing iron oxide gradually took on a lovely shade of red, while the layers composed of goethite or oxidized limonite turned more of a brownish hue. The chlorite layers transformed into green and the iron sulfide layers added a bright stripe of yellow to the scene. The combination is striking to say the least. 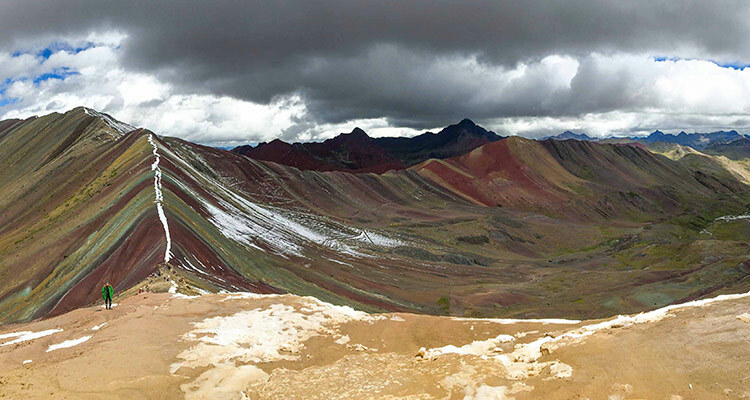 This Andean ridge of multi-colors is well worth braving the elements and altitude to see on your Peru vacation. 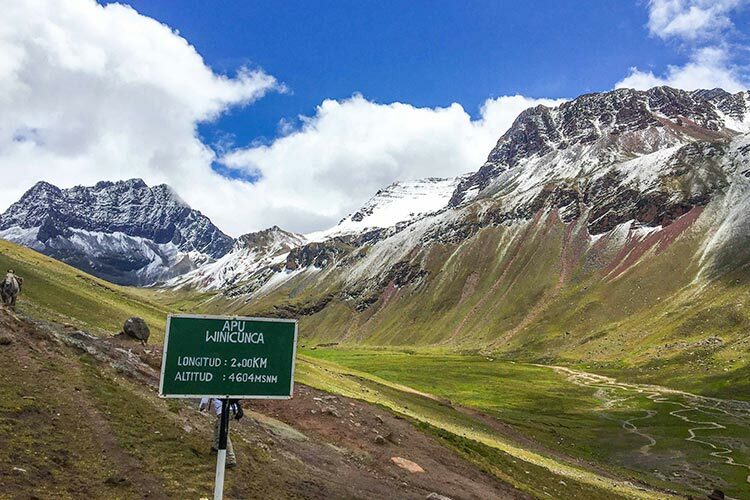 Seeing Rainbow Mountain firsthand during your Peru holiday means that you’ll have ascended to an altitude of 5,200 m.a.s.l, which is only 180 meters less than Mount Everest south base camp. 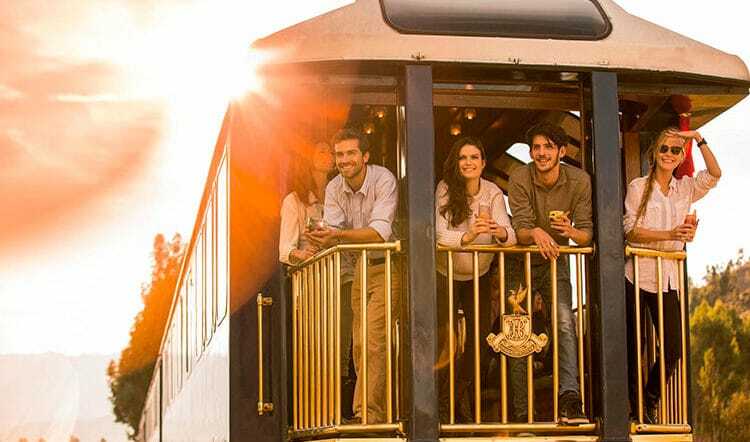 Be sure that you’re well hydrated and acclimated to the altitude in advance before embarking on this unforgettable Cusco day trip and trek. Maybe enjoy a couple of days visiting Cusco and the Sacred Valley before you tackle Rainbow Mountain’s heights. You’ll also want to be prepared for all sorts of weather, from rain to sleet to snow and even wind-stricken sunshine. 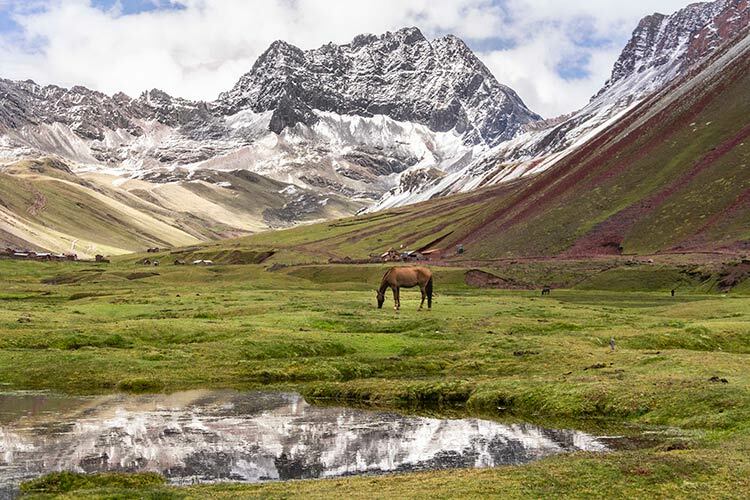 Bring layers and perhaps a change of clothes for after the trek, depending on what weather Pachamama decides to throw your way on this Peru adventure.